The Combustion Institute and Elsevier, with the assistance of an award committee, have selected two members to receive the annual Hiroshi Tsuji Early Career Researcher Award. This year’s winners are Aamir Farooq and Greg Rieker, each of whom are recognized for significant contributions and research in fundamental or applied combustion or combustion-related fields. 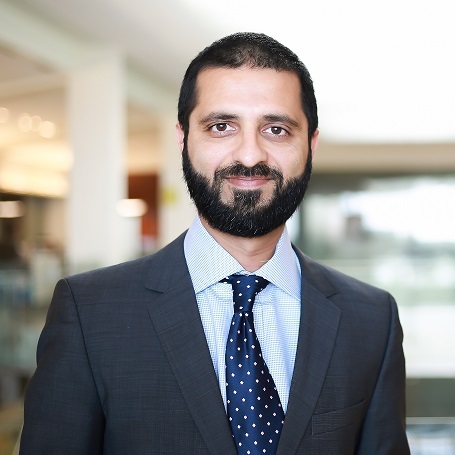 Dr. Aamir Farooq received his Ph.D. in Mechanical Engineering from Stanford University in 2010 and joined King Abdullah University of Science and Technology (KAUST) as an Assistant Professor. He was promoted to the rank of Associate Professor in 2016. Dr. Farooq is the principal investigator of the Chemical Kinetics and Laser Sensors Laboratory in the Clean Combustion Research Center (CCRC) at KAUST. His research interests are in the areas of energy, combustion chemistry, spectroscopy, and laser-based sensors. His group carries out experimental chemical kinetics research using shock tubes, rapid compression machine and optical diagnostics. Dr. Farooq has worked extensively on novel spectroscopic strategies to develop optical sensors based on mid-infrared quantum-cascade lasers for chemical, biomedical and environment-monitoring applications. He has authored over 100 refereed journal articles and has given invited talks at a number of international conferences. “I am humbled, honored and thrilled… [t]his award is a testament of the contributions of a wide range of people in my life, from my family to my teachers, students and colleagues. As much as the award is a recognition of my work so far, it puts an even bigger responsibility to do greater things in the future and to be a model for the younger generation. It is indeed a very good initiative by The Combustion Institute and Elsevier to have an early-career research award as it will help attract talented people to our field,” said Dr. Farooq. Dr. Greg Rieker earned his Ph.D. in Mechanical Engineering from Stanford University in 2009. 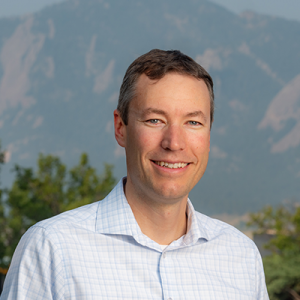 He is currently an Assistant Professor and Vogel Family Faculty Fellow of Mechanical Engineering at the University of Colorado Boulder. He leads the Precision Laser Diagnostics Laboratory, which aims to understand and improve combustion and atmospheric systems through laser-based sensing. The laboratory has been a leader in the transition of dual frequency comb spectroscopy into practical applications, with recent demonstrations ranging from high-speed and high-pressure combustion-relevant environments to long-distance leak detection from oil and gas infrastructure. Professor Rieker holds affiliations with the National Institute of Standards and Technology and the National Renewable Energy Laboratory. Co-sponsored by The Combustion Institute and Elsevier, the international award and prize of US $10,000 recognizes up to two early career researchers who have demonstrated excellence in fundamental or applied combustion science and have achieved a significant advancement in their field within four to ten years of completing a doctoral degree or equivalents. The annual award is named after Professor Hiroshi Tsuji, whose stable porous cylinder counterflow burner configuration has influenced fundamental studies and applications in laminar and turbulent combustion. Farooq and Rieker will be recognized for receiving the Hiroshi Tsuji Early Career Researcher Award during the 38th International Symposium on Combustion in Adelaide, Australia in the summer of 2020. Past recipients of the Hiroshi Tsuji Early Career Researcher Award can be found on The Combustion Institute website. Questions regarding the award may be directed to: office@combustioninstitute.org.